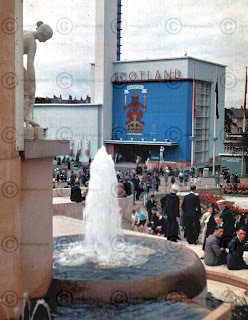 The Empire Exhibition in Bellahouston Park, Glasgow in 1938 was intended as a showcase of the products of countries in the British Empire. 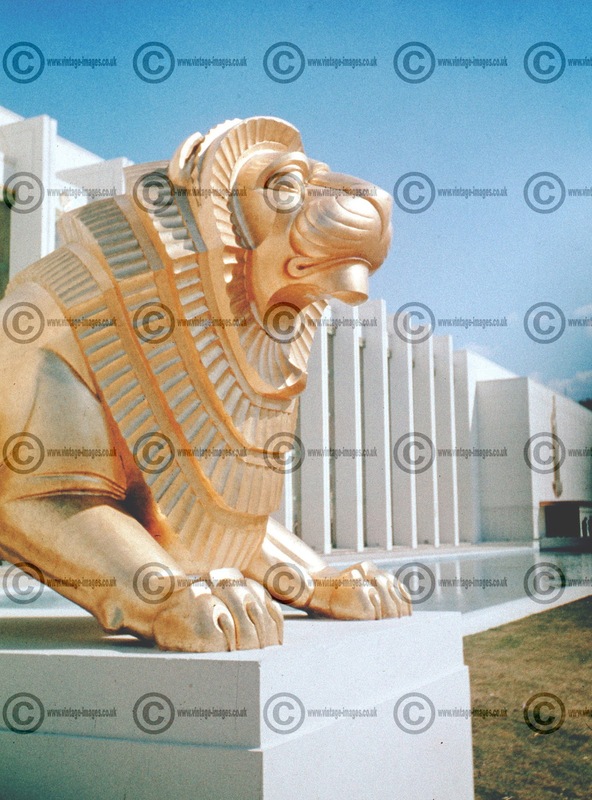 Each country had its own pavilion. In what was one of the wettest summers on record the exhibition which ran from May to December almost 12 million visitors attended the exhibition. The Scottish Pavilion is shown above with the lower portion of what was colloquially known as Tait's Tower (after its architect Thomas S Tait), but was officially the Tower of Empire. Intended to be a permanent reminder of the exhibition, it was demolished in July 1939 when war was imminent as it may have provided a distinctive reconnaissance point for enemy planes. 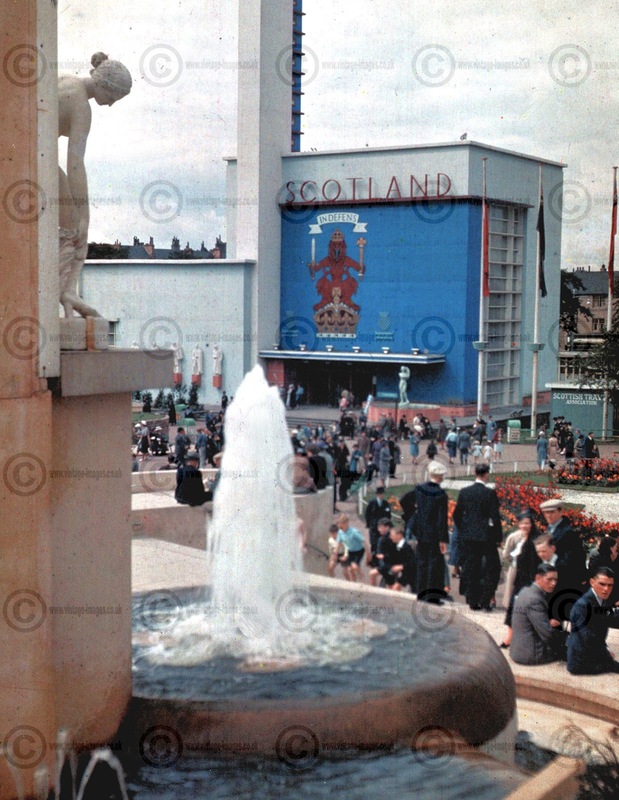 The image of the Scottish Pavilion was taken on Dufaycolor and is one of two images I obtained a number of years ago. Since then I have been fortunate to collect more original images in colour of the exhibition, one of which is shown above. 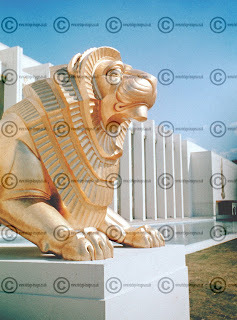 It shows one of the lions at the United Kingdom Pavilion and the vivid colours belie the fact that it was taken nearly seventy five years ago!